Vibram is partnering UTMB for the 11th year in a row. For the occasion of the week of the Ultra Trail Du Mont-Blanc® races, the company is at Chamonix with the Vibram Sole Factor truck to introduce fans to the new Litebase technology combined with Megagrip. The athletes of Vibram’s Trail running Team are participating in the UTMB®, TDS, CCC and the OCC. Vibram will be once again the official sponsor of the Lavaredo Ultra Trail, scheduled from 22 to 25 June 2017 in Cortina d'Ampezzo (Italy), in the amazing scenario of the Dolomites, a favorite destination for sportsmen and outdoor enthusiasts. Are you going to run UTMB® 2017 (or sister races TDS or CCC)? Time left to the start in Chamonix is short. Are you ready? One great way to prepare this unforgetable challenge is to spend and train 4 days around Mont Blanc at the beginning of August with Gediminas Grinius, the Ultra-Trail World Tour 2016 champion! New stage for the Vibram Sole Factor truck in Milan, this time at EICMA the Motorcycling World Exhibition. All the riders joining the fair will have the chance to upgrade their own motorcycle boots with a high performance Vibram sole. 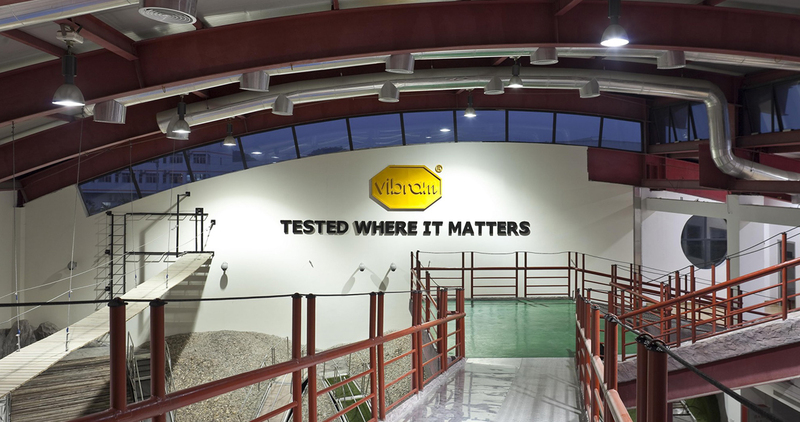 Vibram invites all visitors to test the new VLR Tech technology and to discover the world of motorcycling Vibram products. 5 Vibram athletes will take the field of the race that close the Ultra Trail World Tour. 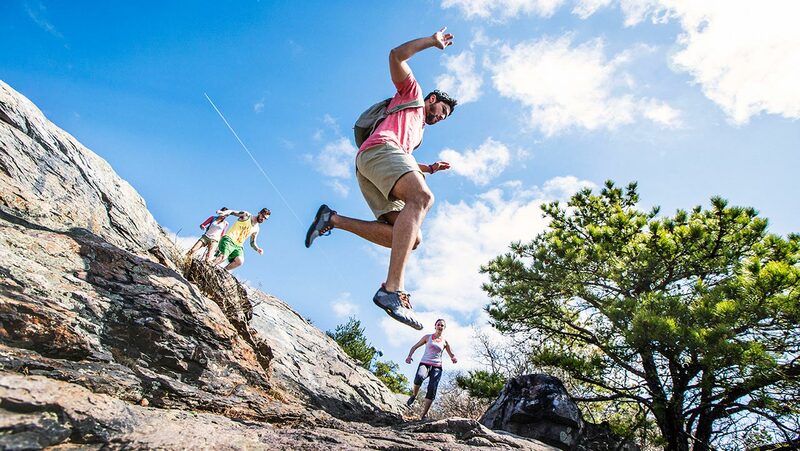 Vibram Megagrip technology on their own shoes will be once more their best ally, yet will feature the footwears' performance of many other ultra runners joining the competition. The brand behind the yellow octagon is set to star in the three-day festival planned from the 6th to the 8th October at the Fabbrica del Vapore. The event will focus around the unveiling to the public of the innovative Artic Grip technology, with the chance to test it out on the ramp and upgrade your footwear at the Vibram Sole Factor truck. The winners of the Vibram Factory contest will also be announced at the event. . In Cologne the latest exclusive innovations from Vibram for the two wheels. Among the news the new soles for motocross, touring and the brand new quad sole. Vibram is setting itself up in Finale Ligure for ten days of "full outdooring". The Vibram Sole Factor truck is getting prepared for its stop in the ligurian town with an unmissable program for outdoor enthusiasts. There will be sport and entertainment for everyone from Friday 23rd September with Finale for Nepal, with two Vibram Test Days to follow afterwards, and it will all be rounded off by Finale Ligure On Wheels. Vibram will be partner of Red Bull at the Red Bull Epic Rise, presenting its collections of motorbike soles and accessories as well as taking the field of the race. 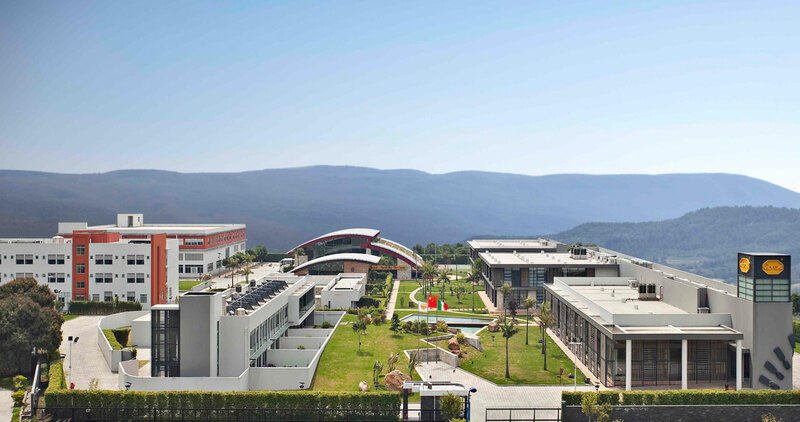 The two Italian companies are embarking on an original collaboration that represents the renewal of a long-standing partnership. The Vibram Sole Factor truck will be stopping off on the Dolomites with its "Choose a Vibram® sole and customise your pair of Mojito Fresh" event, created in collaboration with SCARPA®. The brand with the yellow octagon is back in Chamonix for Europe's most important trail running competition. As an event sponsor, Vibram will be present with a team of trail runners involved in the races and the Sole Factor truck. Sharing centre stage with the athletes is the exceptional performance of Vibram® MEGAGRIP. The company behind the yellow octagon will be in Alpe d'Huez with its Vibram Sole Factor truck to give riding enthusiasts - as well as anyone interested - the chance to try the exclusive performance levels provided by Vibram soles for the mountain biking arena. The company behind the yellow octagon, LUT technical sponsor, will be at the famous competition with the athletes of its Trailrunning Team, its Sole Factor Truck and many events for runners and anyone interested, who will be able to test the performance of the Megagrip compound. The event will take place in Cortina d'Ampezzo between the 23rd and 25th of June 2016. Four athletes from Trailrunning Team Vibram® joined the race across outstanding landscapes of Liguria region (Italy). The new team debuts in the world of the high-level competitions on the occasion of the famous international race. A truly sensational debut of the Lithuanian athlete, who joined the yellow octagon team competing also this year in the Ultra Trail World Tour. 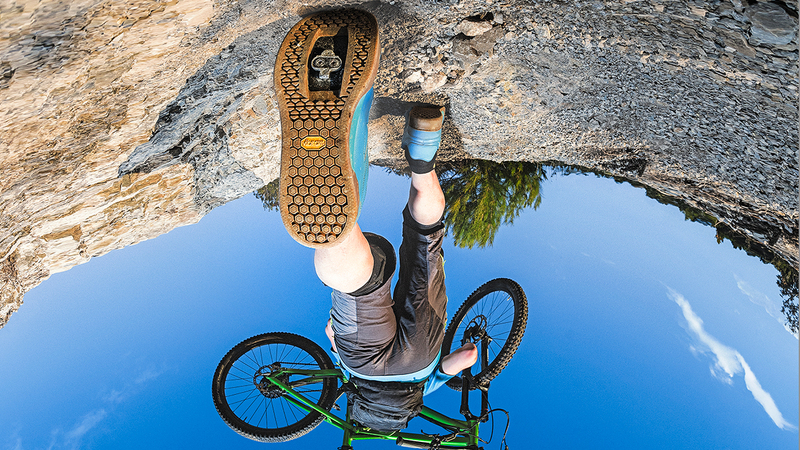 Come visit us at next Milan’s bike fair to discover Vibram’s innovations and products. Three athletes of the Vibram team will join two of the three races scheduled in the French island. Everybody who is passionate about trailrunning, save the date: on October 16-18 the third edition of Camp Trail Run Vibram will feature the Trailrunning Team Vibram athletes Uxue Fraile Azpeitia and Javier Dominguez as teachers as well as an amazing scenario for running in nature: the Parque Natural de Redes (Reserva de la Biosfera), in Asturias (Spain). Once again Vibram will attend the charming yet unique night bouldering contest in the world. Join it with us. Hunting for talents and projects at the Milano’s exhibition focusing on mountain culture and new technologies. Vibram® truck will host the sport passionates gathering at the new event to be held in Milano. Follow the Trailrunning Team Vibram, test Vibram Megagrip compound, buy Vibram FiveFingers® footwear and…discover the Vibram Sole Factor project. All in one week in Chamonix, France. Vibram Sole Factor: To each his own style! Extraordinary success for the first stop of the Vibram truck in Milan. The company with the yellow octagon logo launches the new trend and arranges the next meeting during the Natural Games. Vibram® participates to the 88th edition of Pitti Uomo (Florence, 16-19 June 2015) - the most awaited event of the season regarding men's fashion - introducing to the fashion-system the new Spring Summer 2016 collection of Furoshiki "the wrapping sole", the first wrap-around outsole that reinvents the rules of footwear. Dozens of free concerts, activities, clinics and demos at this year's GoPro Mountain Games June 4-7 in Vail, Colorado. Upcoming the third edition of the impressive trail crossing paths and walkways of the Cadorna Line, the system of fortifications used a hundred years ago during the Great War.